How do you feel the sector is faring in Bristol now compared to five or ten years ago? The appetite for land owners and developers to discover and develop opportunities within Bristol continues to grow compared to recent years. The Council’s focus on understanding and debating what the future of the city could be via its ‘urban living’ approach presents new challenges and design opportunities for the architectural sector. What’s fascinating about the sector is that changes – political and commercial – happen on a continual basis and as architects we need to ensure the latest thinking is at the front of our minds. Recent changes include the Council’s ‘Urban Living’ approach for the future of the city as part of their draft Local Plan, plus how the sector can deliver new housing models (both affordable and private) within the creation of new sustainable communities via innovations within the construction industry. 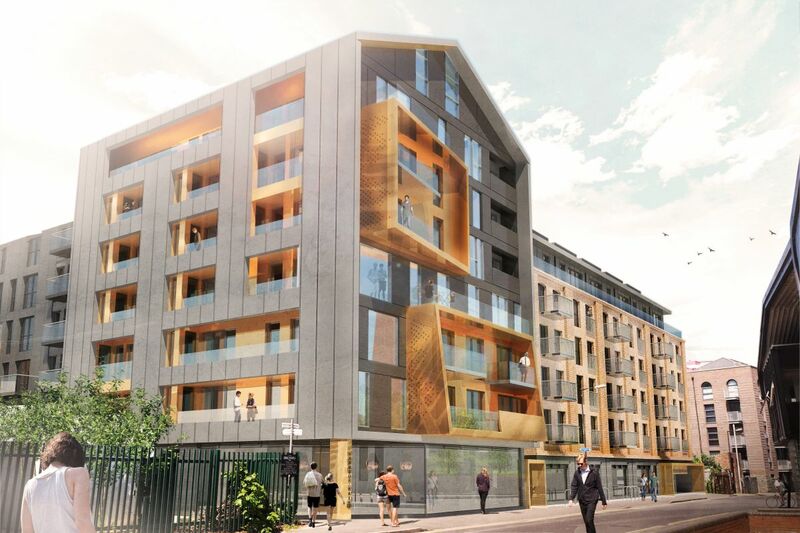 Achieving planning permission for the McArthurs Yard harbourside site adjacent to one of the main tourist attractions in Bristol – the SS Great Britain. The site has presented significant commercial challenges for re-development which have resulted in it remaining derelict for over 20 years. By working closely with the developer (Guinness Partnership) and Bristol City Council, a development that looked to resolve these commercial challenges, deliver the council’s aspirations in terms of housing delivery (affordable and private) and enhance the quality of the urban environment within this specific area of the harbourside ‘experience’ was achieved. How does Bristol compare to other major cities in terms of the quality of the architecture and opportunities to be creative as an architect? The clear opportunity for Bristol to become aligned with other key major cities in both the UK and Europe should be at the top of everyone’s agenda. Bristol has been voted as one of the top cities to live in within recent UK studies and polls; the reason for this is Bristol’s inherent creative, diverse history and urban fabric coupled with easy access to the countryside as well as to other key cities and towns in the UK. There are examples of good quality architectural inventions, both recent and historically, within the city that forms the foundation for how the city can continue to grow and develop via creative and imaginative design. What are some of the biggest challenges you face as an architect? As architects, we need to remain focused on current trends, changes in thinking plus innovation in order to realise opportunities. However, it is also critical that architects understand the ever-changing commercial challenges that landowners and developers face in the current climate. Working closely with landowners and developers on how to develop opportunities – from the outset through to construction on site – is an essential skill and role that architects must play in years to come. What advice would you give to anyone looking to get into the sector? You get out what you put in – like anything in life, I would suggest. We have the chance to have considerable influence on how the world is shaped and how those in it interact, so it’s quite a responsibility. To achieve something to be proud of, and something that balances the many things that we should as architects have knowledge of, you need to be motivated and have a passion to want to achieve. So my advice would be, it’s a fantastic sector to be involved in, but you will enjoy it more if you strive to constantly upskill, understand the world we live in, and keep your motivation levels high by being involved in the things that interest you.